Today we propose étude No. 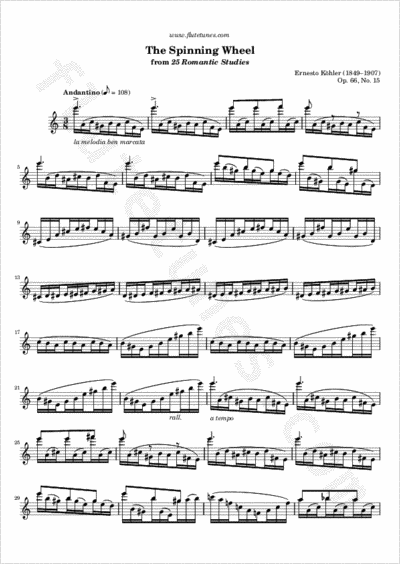 15 from Italian flutist and composer Ernesto Köhler's 25 Romantic Studies, Op. 66. You should give the impression that this piece is played by two flutists, one playing the melodic phrase and the other playing the accompaniment.